The group will meet January 16, 2017. The Trilateral Contact Group on Donbass settlement agreed on the ceasefire from 24 December, OSCE Special Representative Martin Sajdik told a press conference in Minsk on 21 December. "We, the members of the TCG, and representatives of the ORDO and ORLO, stressing the need to ensure peace and tranquility in connection with the upcoming holidays, reaffirm our commitment to a comprehensive, sustained and indefinite ceasefire starting at 00:00 on 24 December this year, Kyiv time," Sajdik said as he read the written statement of the group out to reporters. The parties expressed a commitment to the agreements reached in Minsk and the effective continuation of the Minsk process in 2017, the OSCE ambassador said. 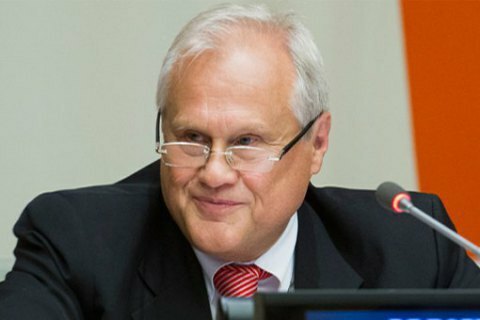 Sajdik said that the next meeting of the group will be held January 16, 2017, but decline to elaborate on the agenda. Previously, the representative of Ukraine in TCG, Leonid Kuchma, said he hoped that the parties would agree on the exchange of hostages. On Sunday, 18 December, Donbas militants tried to force the Ukrainian military from their positions in the area of Svitlodarsk. During the offensive the enemy killed five ATO fighters, six were wounded, and ten were reported shell-shocked. Later it became known that one soldier was captured. On Monday, December 19 one Ukrainian soldier was killed in action and nine were wounded, eight were shell-shocked. On Tuesday morning, Ukrainian armed forces again repulsed an attack of militants in the area.